According to reports Stevie J called the police on Joseline after their meeting at an Atlanta area restaurant turned violent. Apparently Joseline became upset after Stevie decided to end the meeting early. Restaurant witnesses confirm the reports and Stevie is asking a judge to force Joseline to have a mental evaluation. @9:27 CTFU......yeah he might be gunning for the child & would have a damn good case if he can pass a piss test....Joseline is her worst enemy. fukin up that easy money gonna have her back in the strip clubs in just a minute. Is Stevie still with Faye? These two are such losers. OT: Anyone still watching the show? Yall ever wonder why Kirk and Rasheeda's lame asses are still on there acting out blatantly FAKE storylines for a check? No one is checking for them and I doubt they bring anything to the ratings, so why is Mona even paying them? Either she's being paid to expose a certain couple's foolishness (and K and R are the only ones who will play it out), or she's sleeping with either/both Kirk and Rasheeda. Last season Mona had Kirk cheating on Rasheeda, then accusing HER of cheating by asking for a paternity test for her new baby. This season they have him supposedly knocking up some chick who has a bf, and Rasheeda wants him to get a paternity test for the child. Both these scenarios are based on the Keys-Beatz "union", unbeknownst to the public. 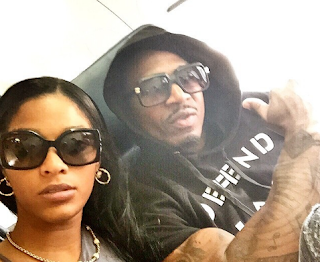 Rasheeda and Kirk must be broke to risk bringing that bad juju into their marriage. these two dudes got that thug passion going on. Thanks boo. ALL of the LHH franchises should've been taken off the air by now considering it's just fake stories. And the people watching it need to switch to PBS.